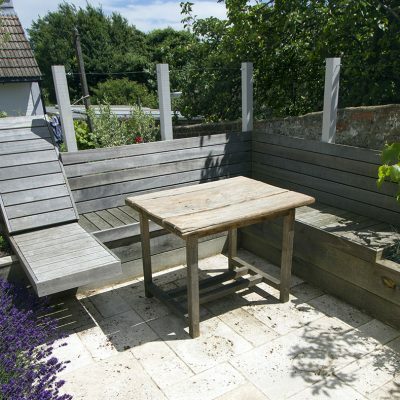 This small raised garden in the Brighton feels like it could be in the countryside as it is surrounded by trees. 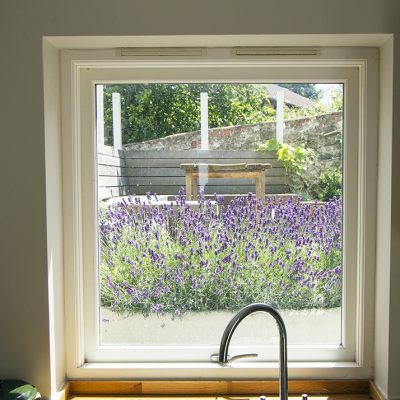 It gets the sun all day and is viewed from a large square window in the kitchen. 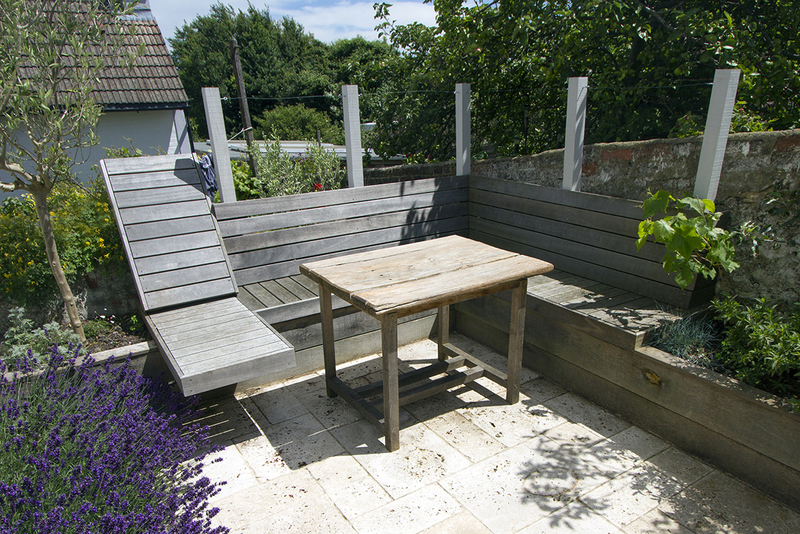 The owner wanted somewhere to sit and eat as well as room for people and some planting. 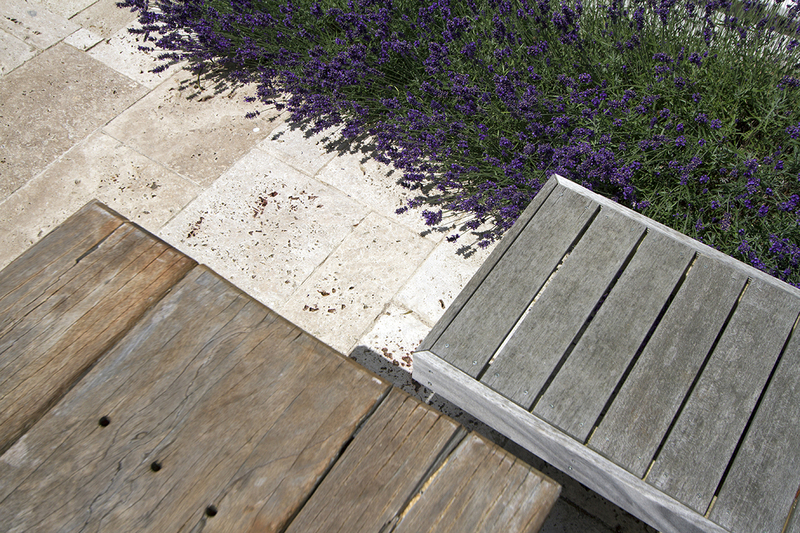 My solution was to incorporate built in hardwood seating. 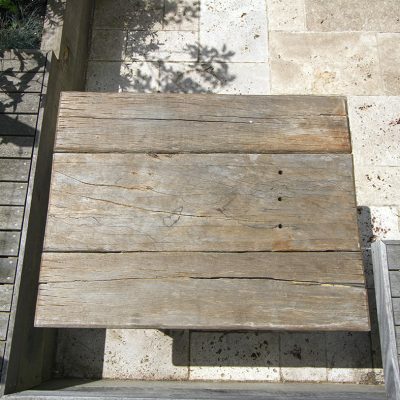 This is a space saver as the table can be pushed into the corner rather than being in the middle of the patio so everyone can get to their chairs. I also designed a reclining seat where the last of the evening sun hits. Eventually a grape vine will be supported around the seat giving a bit more privacy. 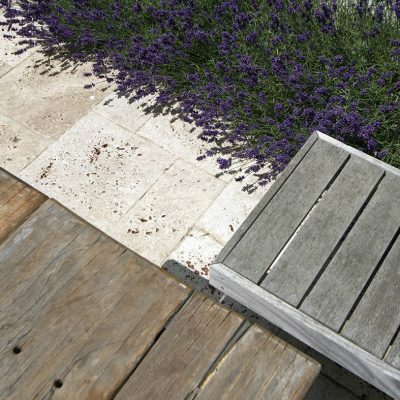 I used oak sleepers to form raised beds and travertine paving to give a mediterranean feel. 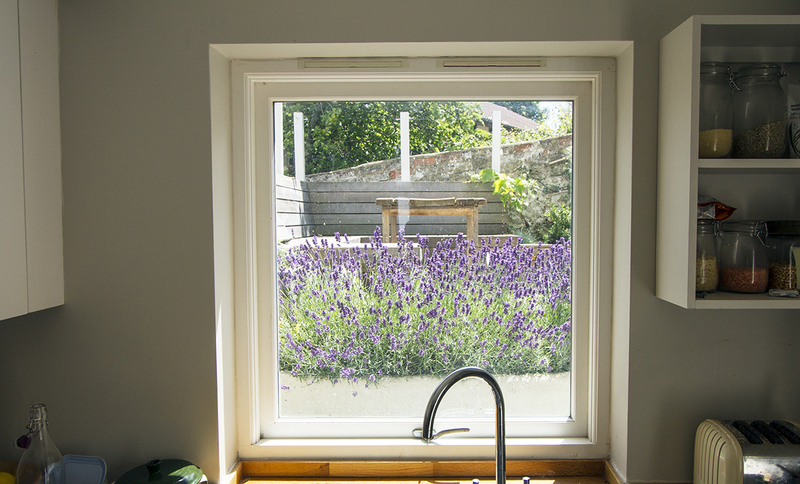 A low hedge of lavender infront of the kitchen window looks and smells great in the summer – when the garden is mainly used. 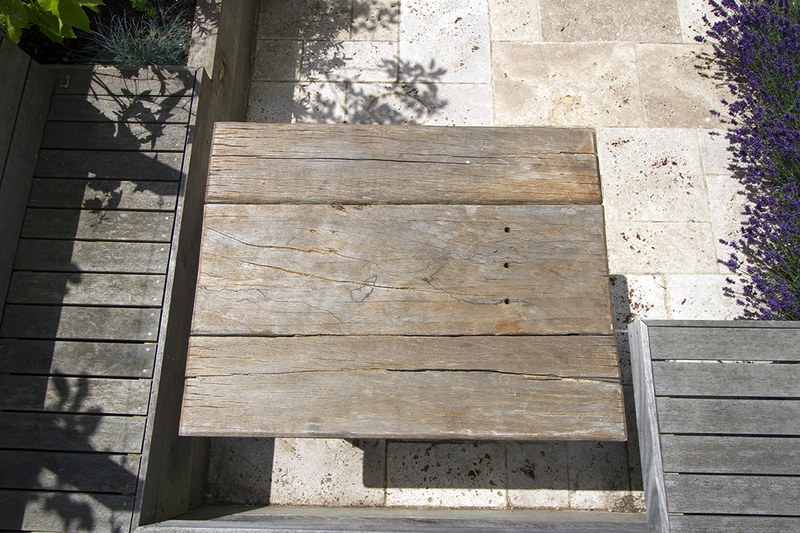 Finally the tabletop was made from wood reclaimed from the beaches near brighton! That was great fun to do and my client loved the fact she helped to find the wood.